Unfortunately, your registration has been declined by the auctioneer. You can contact the auctioneer on +44 (0)1580 715857 for more information. You are the current highest bidder! To be sure to win, log in for the live auction broadcast on 05 Jan 2019 11:00 GMT or increase your max bid. 1. Any person on the auctioneers’ premises before, during or after the sale shall be deemed to be there at his own risk. Such persons shall have no claim against the auctioneers in respect of any injury sustained or any accident which may occur from any cause whatsoever, subject always to the provisions of the Unfair Contracts Terms Act 1977. 2. All goods are sold with all faults and errors of description. All goods are sold and dealt with by the auctioneers on the instructions of their client or clients. The auctioneers will not be answerable for any faults, quality, weight or measurement or otherwise, of any of the sold goods, all of which matters must be settled exclusively and solely between the said client or clients and the purchasers of such goods concerned. 3. The highest bidder acceptable to the auctioneer shall be the buyer. The auctioneer shall have absolute discretion to settle any dispute which arises and to refuse bids or to advance the bidding as seen fit. 4. 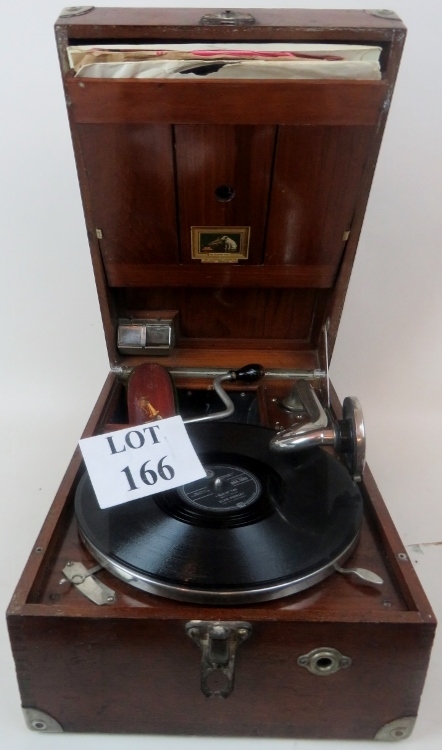 Any items damaged or broken accidentally or otherwise during viewing days or auction days must be paid for at the valuation set by the auctioneer. 5. Payment can be made by cash, bankers draft, building society, debit or credit card (See Payment point 4. for details of card surcharges). Buyers paying by cheque must be prepared for the cheque to clear before taking possession of the goods from the auctioneers. 6. All items must be removed at the buyer’s risk within three days (unless other arrangements have been made with the auctioneer). 7. All unsold items must be removed by the vendor by the 20th of the month of the auction (unless the auctioneer has agreed to re-entry of the items) after which time the items will remain on the premises at the vendor’s risk and disposed of after 6 weeks if not collected without further notice to the vendor. i) Items re-entered for auction : The auctioneers retain the right to re-enter goods and reduce the estimate/reserve. Vendors will be notified either by email, telephone or post. 8. The auctioneers will, on the buyers written instructions, execute bids on their behalf, but neither the auctioneer nor his employees or agents shall be liable for any neglect in doing so or failure to do so. 9. The buyer shall pay a fee of 19% plus VAT to the auctioneer when purchasing goods from auction. Our VAT Registration No. is 683 4311 35. Buyer’s using Saleroom.com will incur additional fees. See Online Bidding below. 10. All Artwork measurements shown are given as a verticle measurement followed by a horizontal measurement. All measurements given exclude the frame. This levy is to be charged to the purchaser. In bidding, you accept that you will be charged in accordance with the terms of the Act. In some countries, including those in the EU, local laws entitle the artist or the artist’s estate to a royalty. Artist's resale rights is a levy payable to a qualifying artist or the artist's heirs each time a work is re-sold during the artist's lifetime and for a period up to 70 years following the artist's death. Royalties are calculated using a sliding scale of percentages of the sale, please check using link below. first €50,000 would achieve 4% (€2,000), the next 150,000 would achieve 3% (€4,500), and the final €10,000 would achieve 1% (€100). The total royalties due would be €6,600. 10. Bentley’s Fine Art Auctioneers will supply basic condition reports with photographs to assist with evaluation. Condition reports are given by what can be seen by the naked eye. If you require to know the detailed condition of any item in a forthcoming auction, please either view the item yourself or delegate someone to view it for you. 11. Vendors’ commission and fee charges are 18.5% commission payable on the hammer price. A £3 lottage fee applies to unsold items. A limited liability charge of 1.5% is applied to the hammer price of sold lots. All charges are subject to Vat at the current rate. 12. In the event of loss or damage to a vendor’s item prior to auction, limited liability will be paid at the lower end of estimate or reserve figure. 13. If items that have been catalogued are withdrawn by the vendor before any auction, a charge of 25% (+ VAT) of the reserve or lower estimate will be made to cover administration costs, with a minimum charge of £10 per lot plus Vat. 14. Payments to vendors are issued 14 days after the sale. Payments to vendors may be delayed if full payment has not been received from the purchaser. 15. The auctioneers reserve the right to amend/alter or change vendor descriptions. 16. The auctioneers reserve the right to amend/alter or change a lot description at any time up to the point of auction. 17. All items entered for sale are offered subject to 10% auctioneer’s discretion on the reserve price. 18. Bentley’s reserve the right to request deposits from new buyers for goods with an individual estimated hammer price of £1,000 and over. In the event of a purchase of an item(s) any deposit taken becomes non-refundable and will be forfeit if full payment is not received by 3 weeks from the date of the auction in which the item(s) were purchased. 1. ALL ITEMS PURCHASED MUST BE PAID FOR PREFERABLY ON THE DAY OF THE SALE, OR, IF NOT, BY CLOSE OF BUSINESS ON THE WEDNESDAY IMMEDIATELY FOLLOWING THE SALE. BENTLEY'S RESERVE THE RIGHT TO CHARGE UP TO 1% INTEREST PER WEEK ON THE FULL AMOUNT OWED, ON PAYMENTS MADE AFTER THIS. 2. Cash – sterling only. 3. Cheques - Buyers paying by cheque must be prepared for the cheque to clear before taking possession of the goods purchased. 4. Debit card/Credit card are acceptable. * We do NOT accept debit or credit card payments where the cardholder is not present over £500.00. Where the buyer is unable to make payment in person over £500 payment must be made by bank transfer, cash or cheque. 5. Banker’s draft is acceptable. 6. Payments to vendors are issued 14 days after the auction, but may be delayed if full payment has not been received from the buyer. 1. Subject to satisfactory payment, all purchased items should be removed by the Friday immediately following the sale. All items remaining on the premises after this time shall be removed and Bentleys reserve the right to charge storage fees at £5.00 per lot per day. 2. All unsold items must be removed from the premises by the vendor by the 20th of the month of the auction (unless the auctioneer has agreed to re-entry of the items). After this time the items will be disposed of without further notice. Please note that items with no reserve may be re-entered at the auctioneer's discretion. 3. Under no circumstances can goods be cleared until cleared funds have been received in full. Bentleys Auction Rooms offer an online bidding service via the-saleroom.com for bidders who cannot attend the sale. 2. Confirm that you are authorised to provide these debit or credit card details to Bentleys Auction Rooms through www.the-saleroom.com and agree that Bentleys Auction Rooms are entitled to ship the goods to the card holder name and card holder address provided in fulfilment of the sale. 2. All buyers must arrange collection of their goods within 21 days of the relevant auction (excluding furniture). After which Bentley's reserve the right to charge storage of £5 per day and goods will not be released until this has been paid. Furniture must be removed within 14 days of the relevant auction after which furniture items will be put into storage and storage charges may apply. 3. Bentley’s Ltd will not be held responsible for any loss or damage to items due to circumstances beyond their control. Bentley’s is committed to ensuring that your privacy is protected. Should we ask you to provide certain information by which you can be identified when using this website, then you can be assured that it will only be used in accordance with this privacy statement. Bentley’s may change this policy from time to time by updating this page. You should check this page from time to time to ensure that you are happy with any changes. This policy is effective from May 2018 and has been updated in accordance with GDPR compliance processes. We may periodically send promotional emails about our Auctions, specific lots or other information which we think you may find interesting using the email address which you have provided. PCI DSS (Payment Card Industry Data Security Standards) is the most rigorous standard in the payment industry today. PCI DSS standards are enforced by VISA, MasterCard and the banks and specify the technical aspects of a payment service as well as operational policies and procedures. Bentley’s are working with AIB, WorldPay, the-saleroom, to ensure that all these security obligations are being fulfilled and your data is as safe as can be.